A mineralising two-phase skin tonic formulated to hydrate, restore and nurture. The water phase contains Malachite, a mineral rich crystal extract with powerful antioxidant and skin protecting properties. 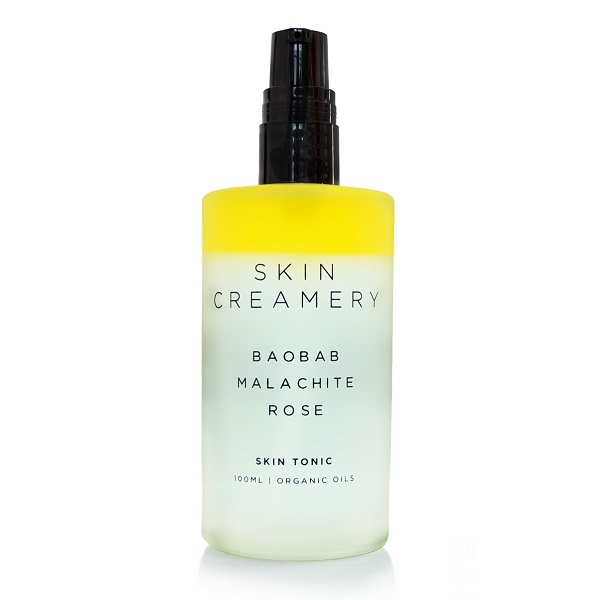 Baobab fruit powder, which is high in vitamin C, is infused into organic rose water to create a vitamin rich floral splash. The omega-rich oil layer gently hydrates and conditions the skin. This oil layer mixes effortlessly with the water phase to form a rejuvenating tonic for damaged or tired skin. Earthsap's Signature Men's range enhanced with essential oils and spices from the Islands of East India.